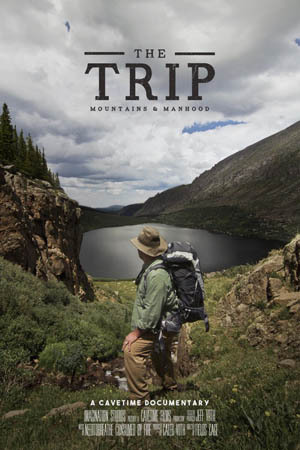 Local, first-time filmmakers conquer the elements and rediscover individual purpose among towering mountains and daunting trails, while capturing it all on film in a new release. 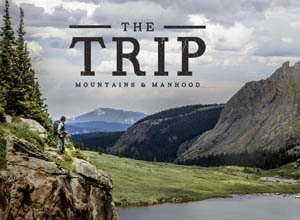 “The Trip: Mountains & Manhood” premieres April 19 at the Bare Bones International Film Festival in Muskogee, Okla. In July 2016, a group of men loaded their packs and headed into the wilderness of Colorado, following a 25-year tradition. They entered the woods with baggage, defeat, fear, doubt and addiction, but left with victory and fresh vision. Executive producer Jeff Voth got lost in the woods at 12 years old and swore he would never return. Now, he leads men into the wild to conquer themselves and overcome through struggle with nature and submission to the mountains. “We all have day jobs, but when we really step back, we all want to live the gun-slinging, trailblazing life of John Wayne or John Muir and it resonates in our DNA to get out and take on the elements – to live life unbridled,” said Caleb Voth. “The Trip” will be featured in two upcoming Oklahoma festivals: the Bare Bones International Film Festival April 19 in Muskogee, and the Twister Alley Film Festival April 28 in Woodward. “The Trip” is nominated for “Best Feature Film” and “Best Director” at Twister Alley – a dream come true for a group of amateur filmmakers and mountaineers. Despite their newcomer status, the team secured rights with Warner Brothers Music, and is in contact with Bass Pro Shops, the Outdoor Channel and Outside TV for this relatable story of redemption. “The Trip” appeals to the innate human desire to be a part of something bigger. For more information, please click the link to visit www.thetrip.film. This entry was posted in Local, Out & About on April 17, 2017 by admin.